Walk into any newsagent and you will immediately be faced with countless newspapers and magazines vying for your attention, their headlines reporting stories of ‘Beyoncé’s astonishing post-baby weight loss’, Kelly Osbourne’s ‘drastically slimmer frame’ and accusations that Miley Cyrus, Demi Lovato, Selena Gomez and other Disney tween celebrities are literally starving for attention. When, however, was the last time you saw a headline alluding to a male celebrity having an eating disorder? Contrary to what popular media would have us believe, the prevalence of eating disorders in the male half of the population is far from uncommon. In fact, despite being portrayed as a predominantly female condition, the NHS reports that around 10% of people diagnosed with eating disorders in the U.K. are men, with an estimated 1 million men in this country currently suffering from disordered eating. Indeed, binge-eating appears to affect almost as many men as it does women. 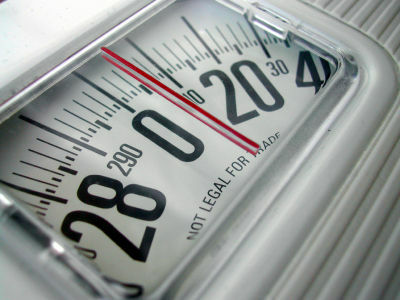 Recent statistics suggest that up to 3% of men will be affected by an eating disorder at some point in their lifetime. Furthermore, male body-builders or wrestlers, or participants in any sport where athletes face pressure to fit into specific weight classes, are at increased risk of developing eating disorders. Runners and jockeys, for instance, are more prone to developing anorexia nervosa, characterised by restrictive eating, or bulimia nervosa, associated with behavioural bingeing and purging. On the other hand, those who participate in weightlifting and similar sports are more likely to suffer from ‘bigorexia’, with disordered eating perhaps manifested by exclusively consuming protein. According to the DSM-IV – the fourth edition of the Diagnostic and Statistical Manual of Mental Disorders – eating disorders fall into the categories of anorexia nervosa, bulimia nervosa and eating disorders not otherwise specified, although it acknowledges overlap between the identified types. Common to all eating disorders is body dysmorphia; a distorted perception of one’s own body, often related to negative body-image. Whereas the body-type aspired to by women emphasises thinness, the media asserts that for men, muscularity is the prevailing standard..Deviation from this idealised standard impacts upon peoples’ self-esteem and self-worth. It is important to note that although self-induced vomiting is the purging behaviour most commonly associated with bulimia nervosa, excessive exercise is another symptomatic compensatory action. For obvious reasons, diagnostic criteria such as amenorrhea (cessation of menstruation) cannot be applied to men, but excessive exercise and obsessive concern with muscularity are characteristic of eating disorders in men. Research into the male dimension of eating disorders is a relatively contemporary but growing phenomenon, with studies of ‘manorexia’ gaining prevalence. Previously, with attention largely devoted to female sufferers of eating disorders, many cases of male disordered eating went unreported, resulting in inaccurate data on the male experience of eating disorders and persisting gendered diagnostic criteria and stigmas. Even today, men are more likely to be diagnosed as suffering from a depressive disorder with changes to appetite as an associated symptom, as opposed to being diagnosed as having an eating disorder. With this persisting gender bias, despite identical behaviours, women are still statistically more likely to be diagnosed with an eating disorder. As it exists, treatment for men suffering from eating disorders takes place in the same environment as that for women. However, especially in smaller or rural communities, the stigma against male sufferers as a result of enduring beliefs of eating disorders as an exclusively feminine disease poses a barrier to effective treatment, diagnoses and reporting of cases. Indeed, with a perceived taboo against ‘manorexia’, how many men would be likely to disclose an eating disorder? Perhaps what is needed is the development of a unique approach to the treatment of men with eating disorders, and a gender revolution in our approach to disordered eating. The urgency of this need is emphasised by recent statistics stating that whilst approximately 75-80% of female patients who receive treatment for their eating disorder ultimately recover, the same is true for less than half of male adolescent patients. Although the male body image projected by the media is not as homogeneous as that for women and admits for a greater range of body-types, it still emphasises a standard that is unattainable or unrealistic for many, thereby generating the negative self-image and self-esteem that underlies eating disorders in both men and women. If we are to overcome the gendered bias in diagnosing and treating eating disorders, we must challenge the persistent notion that eating disorders are restricted to women. With recent figures indicating a 66% increase male hospital admissions for eating disorders, much progress has been made to conquering gendered perceptions of eating disorders, but there is still a long way to go.